Gould: Look, we all go way back, and I owe you from the thing with the guy in the place, and I’ll never forget it. Clooney: That was our pleasure. Pitt: I’d never been to Belize. This is dialogue from my favorite scene in the film Oceans Eleven, one of the movies that I’ll stop and watch in it’s entirety if I just happen across it when channel surfing, a film I’ve seen at least a dozen times. Gould’s line is so absurdly funny and Clooney and Pitt respond in lines that mean absolutely nothing to the audience. We really have no idea what they are talking about. The capper is Gould’s comment that “I’ll never forget it” even though he cannot remember any of the details of this previous encounter. I wish I could write like that. The thing is, I can watch films like this over and over again and not feel like I’m “wasting time” or that I should be doing something more significant. Because essentially, who is to say what actually has meaning? Even with this proclivity, I stay active. I’m not a couch potato. I’m just entranced by certain actors, certain films, even critical moments in some films. I can put on the film Once just to watch the first 12 minutes up to the point when Glen Hansard and Marketa Irglova make their way to a quiet music store and perform the lovely duet of “Falling Slowly” which earned the pair an Academy Award. On some days, I’ll put in my disc of that film, just to see that scene—once or twice or three times. Then I’ll pull out my guitar and try to master the intro to that wonderful song. And then there is Tom Cruise. That’s right—I’ll admit it. I’m a fan. I don’t care if he’s a freak personally; he has made a bunch of films that I like. Top Gun has a place in my heart that I’ll talk about later, but lately I find I can’t resist watching Jack Reacher or the futuristic Edge of Tomorrow and reveling in the writing and execution of the films. I hope the guy never ages—and it makes me happy to know that at 5’8”, I’m apparently taller than he is according to my sources at Universal Studios. And then there is Denzel. He’s done important films like The Hurricane and Training Day but seeing those once was enough. 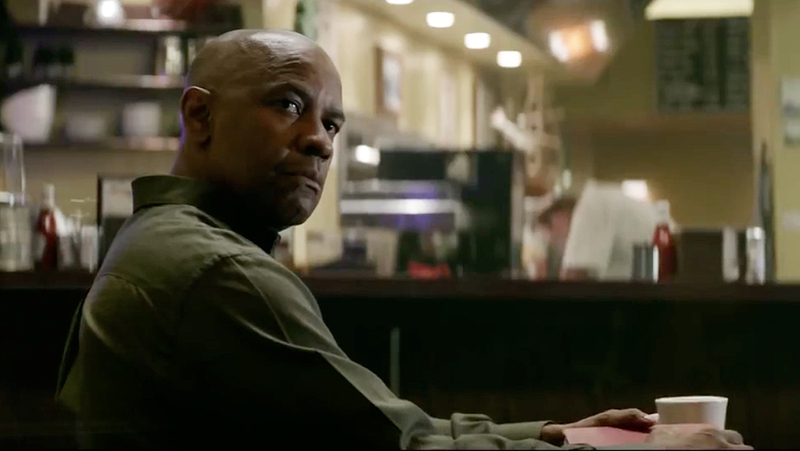 While I’m writing this I’m watching Man on Fire for probably the 20th time, and I just ordered my own copy of The Equalizer only because I recently subscribed to Amazon Prime and can get stuff shipped to me for free. Both are stories of both revenge and redemption, themes I find irresistible. And then there is the very underrated film, Déjà Vu, where Washington excels as both an action hero and romantic lead. In a pinch, I can plug in any of the three Bourne movies with Matt Damon and escape happily into a world of action and intrigue. Most of my day is filled with hiking, yoga, gardening, home maintenance, and marriage maintenance. However, I have no problem taking a break to watch something on TV—over and over again. 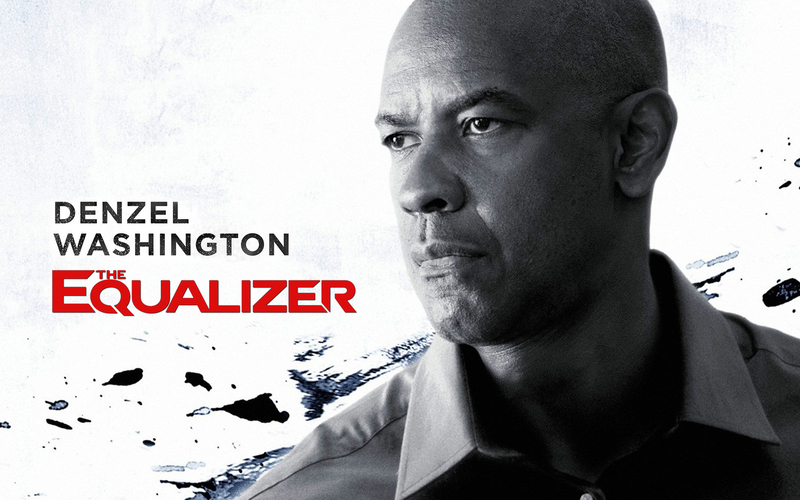 If I had paid attention to the mixed reviews, I might have never caught the most recent Denzel Washington film, The Equalizer. However, my wife graciously fed my action-film addiction when she discovered it on TV a couple of weeks ago. I’ve watched it three times since. 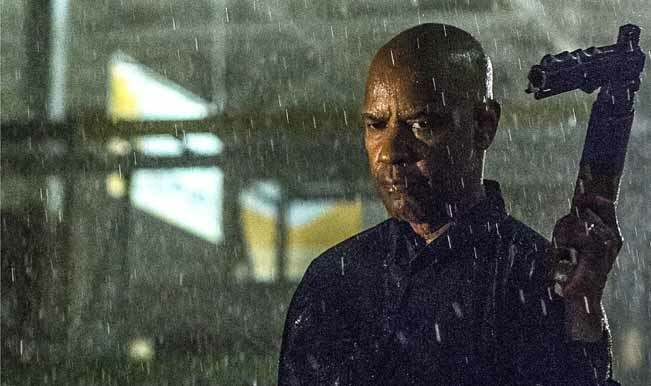 The Equalizer falls into a genre of films that has enormous appeal to my lizard brain, that part of me that wants there to be a force for good that will stop at nothing to correct an injustice, that will relentlessly punish evil-doers, that refuses to acknowledges the grey areas of morality. It’s tough and contradictory. I’m anti-war. I’m anti-death penalty. But, as I read the paper daily and see the outrages being perpetrated around the world on innocent people, I find myself wanting that drone strike, wanting US special ops, wanting SEAL Team 6 to storm in and make things right. However, we all know that this is a dangerous road to go down. Just this morning, I read that the United States estimates that we have killed nearly 500 innocents in our air war against ISIS and undoubtedly thousands more in our infamous “war on terror.” How can we justify that? But in the world of Robert McCall, Washington’s character in The Equalizer, the enemy is always clear, his justice swift and precise. In the two hours of the film, he evens the score for a young woman he has befriended who is badly beaten by her pimp, one co-worker who is terrorized at gunpoint, and another whose family is being extorted by corrupt cops. In the process, he destroys the criminal empire of a powerful Russian mobster. So, how do I justify my world-view with my pop culture choices. I can’t—not entirely. I did discover though that there were certain elements of this film, and others like it, that I find absolutely irresistible. To tip the scales of justice against and insurmountable number of very bad men, these heroic characters must be imbued with crazy, mad skills—think Matt Damon in all three Bourne movies and, Liam Neeson in the Taken franchise all rolled into one. McCall “equalizes” with cool, efficient, resourceful brutality, barely breaking a sweat as he takes on the Russian mob, cleverly using supplies from his low-level home improvement store job. He finds a way to make the simplest tools lethal for those who pursue him. In fact, I’ll never look at a tree-trimmer (or a cork screw for that matter) quite the same again. What I especially like about McCall is his selflessness. Mills (Neeson) is trying to save his family, and Bourne is trying to both discover and escape his past. Early on McCall befriends a young prostitute who is subsequently severely beaten. He checks in on her at the hospital and then quietly begins his pursuit of the men who harmed her. He tries to explain to his CIA contact: “I couldn’t tell you why it mattered. Why what they did to her that mattered to me so much. One day somebody does something unspeakable to someone else, to someone you hardly knew, and you…do something about it cause you can.” He gets nothing from risking his life except a bit of revenge and a dose of redemption. Critics complained about the lack of development of McCall’s character, but I don’t see it—not for this kind of film. We hear about his military background and know that he carries guilt for some of the actions of his past. We know he has loved someone deeply and tries to be a good man in her memory. He is a troubled man who cannot sleep and who spends his nights reading at a local café and his days working a simple job at a home improvement store where he cares about the people he works with and silently works to protect them. Oh, and in his spare time, he takes down Russian oligarchs with ruthless efficiency. Retribution, redemption, and plenty of action that develops logically and relentlessly. Not one car chase in sight. Just one man trying to tip the scales of justice, because he can. Irresistible! I may have to watch it again tonight.